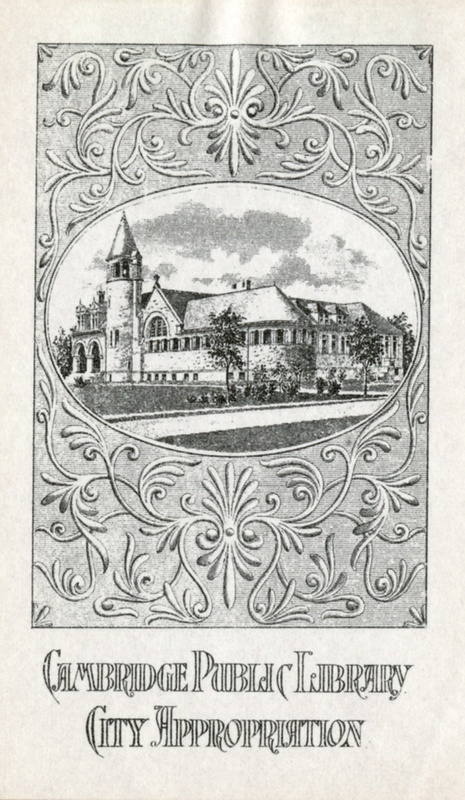 Pictorial-style, institutional bookplate featuring box frame with patterned scrollwork and center image of the library. Textbox below. 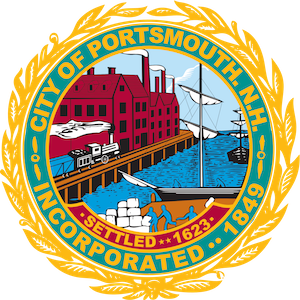 ~ Unknown, “Cambridge Public Library, City Appropriation,” Portsmouth Public Library's Online Archives, accessed April 23, 2019, http://portsmouthexhibits.org/items/show/1844.